Xiaomi just officially introduced its first-ever chipset called Surge S1, and the first device that witness its capabilities is the Xiaomi Mi 5c. 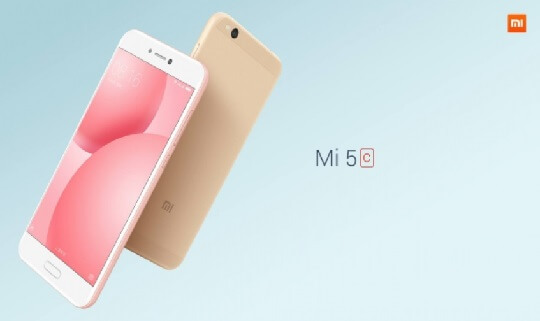 The Xiaomi Mi 5c comes with 5.15-inch display made by JDI with Full HD resolution, and 550-nit brightness housed in a slim and light premium metal body that measures only 7.09mm thin and just weight 132 grams. On the inside, is Xiaomi's Surge S1 chipset that sports octa core 64-bit processor paired with quad core Mali-T860 GPU. The multitasking will be handled by 3GB of volatile memory, while internal storage is set at 64GB. In terms of imaging capabilities, the rear mounted one is equipped with 12MP camera that has 1.25 micron pixel size, while the front-facing one with 8MP shooter. The other notable specs are front-mounted fingerprint scanner, dual SIM with LTE connectivity, USB type-C port, 2860mAh battery with fast charging support, and runs Android Nougat with MIUI 8 on top. Price wise, it will be sold at RMB1,499 or about 11K pesos when converted directly to our Philippine currency.